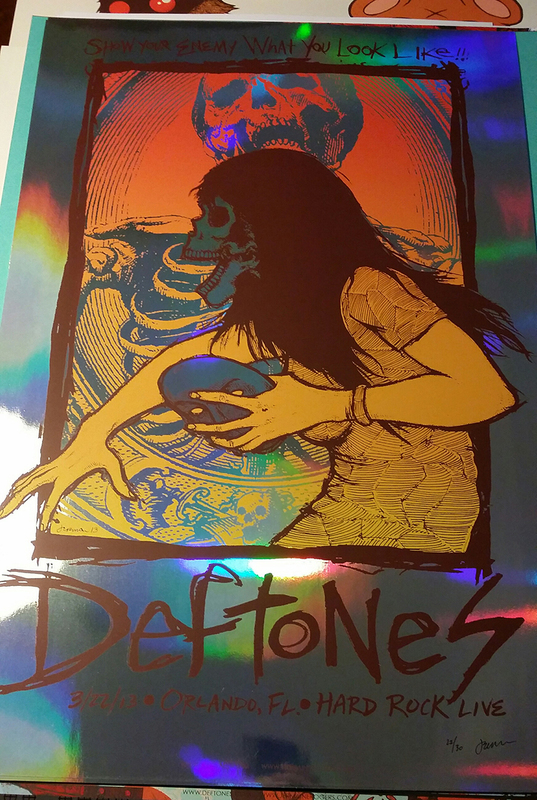 HOLOGRAPHIC FOIL – Measuring 30×20 inches, this much sought after Deftones print was screen printed on holographic rainbow FOIL stock. MINI ART PRINT REGULAR – Measuring approx. 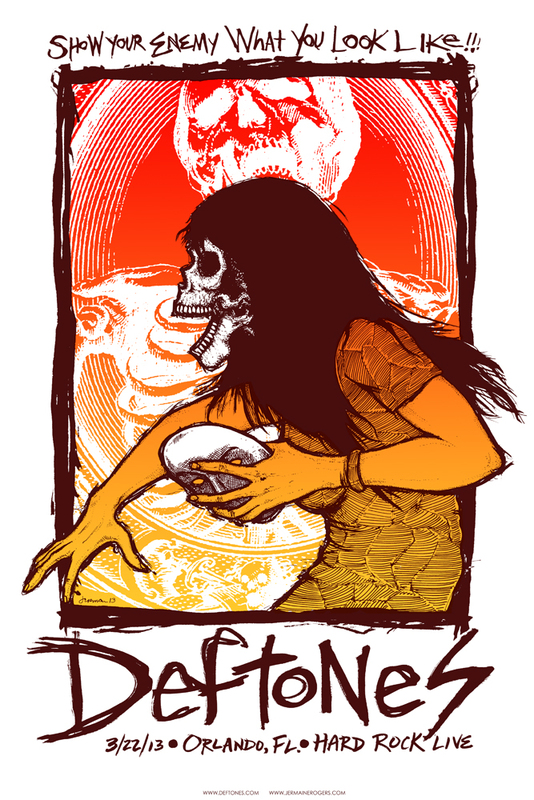 9.5 x 6 inches, this mini art print features artwork used on the Deftones ORLANDO 2013 poster. 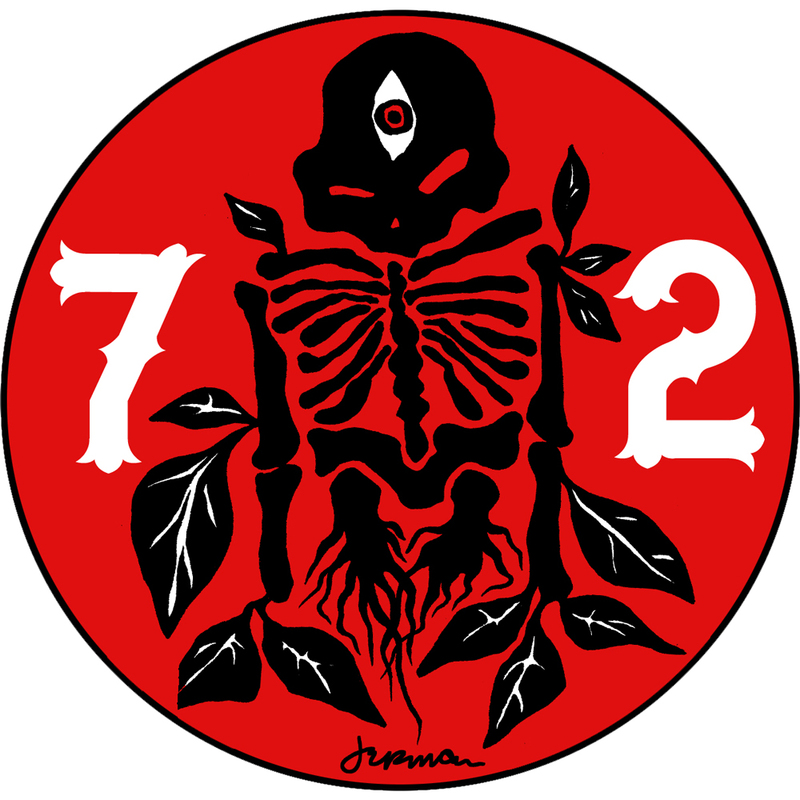 Screen printed on white gallery stock and signed by Jermaine Rogers. RASPBERRY BLUE – Measuring approx. 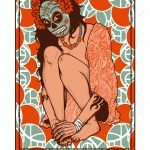 9.5 x 6 inches, this mini art print features artwork used on the Deftones ORLANDO 2013 poster. 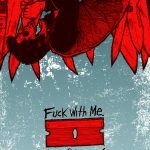 Screen printed on French Raspberry Blue stock and signed by Jermaine Rogers.